The Positive Resource Connection provides free HIV testing at various community-based sites in the 12 counties which the agency serves (Adams, Allen, DeKalb, Huntington, Jay, Kosciusko, Steuben, Wabash, and Wells, counties). 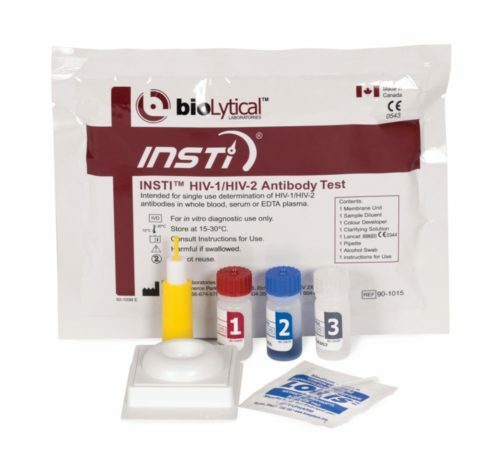 We use the Insti-HIV test. This particular HIV test requires one small finger prick and initial results are available within one minute. No appointment is necessary at most of the locations below, except at the Positive Resource Connection Monday through Friday (walk-ins welcome Wednesdays from 4:30-6:00pm). For more information on HIV testing or to make an appointment, email or call us at 260.744.1144 or 1.800.417.3085. Dates and Times are subject to change. Call the Positive Resource Connection at 260.744.1144 or 1.800.417.3085 to confirm testing dates and times at these sites.